If you are in search of a read that will end with your jaw dropping in shock, an incessant desire to toss this book at the wall or pound it against the floor, or even just the declaration of “what the eff” feelings, Dangerous Girls could very well be that book. Dangerous Girls is the kind of book that you simply cannot put down once you’ve started. The crime in question (Elise’s murder) has dire consequences for the person who will wind up convicted, and all eyes are on Anna, Elise’s best friend. The novel quickly descends into chaos, complete with multiple suspects, alibis and motives, and the reader is caught up in the swirling torrent in an attempt to figure out who really committed the crime. There are two things that really stand out: the intense character emotions and the clever storytelling. Each character in this novel feels everything with a strong, clear intensity. There is a little bit of everything here – anticipation, happiness, sorrow, anger, anxiety, guilt, numbness. While it was tough to contemplate being in any character’s particular position, that in no way prevent my empathy and understanding of their emotional experiences. But what I really wound up loving best about Dangerous Girls is how cleverly Haas tells the story. The chapters jump around between past and present, giving readers a bit more insight into all of the characters (including Elise herself). I never felt lost at all, since each moment was simply connected to the ongoing plot of the quest to find Elise’s killer. There are many things revealed in many chapters, everything from feelings to motives to relationships to alibis, and I am still in awe of how Haas makes it all fit together by the end. 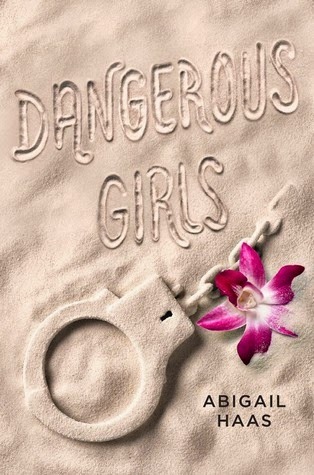 Dangerous Girls is a dangerously (pun intended) addicting read. The desire to see things through and find out who killed Elise is strong motivation to keep turning the pages, and it won’t be surprising to find your suspicions changing with every chapter. Smartly written, impossible to put down, I’m certainly joining the chorus of Dangerous Girls fans to highly recommend this novel. I'm looking forward to doing a reread when I actually own a copy of the book! I seriously had no idea where the story was going to take me next, and I LOVED that so, so much. Her writing was so clever, and incredibly spot on! I absolutely agree about the switch between past and present! It totally added to the overall mystery, and I was seriously thrown off so many times by so many little incidents. And I hope that your fiance's mom wound up enjoying it! I'm thinking you definitely should read Dangerous Girls! It's so, so good. If you're looking for a book with clever writing and story structure, this is a great example! I don't read a ton of murder mysteries but I know I need to read this one at some point. I've heard nothing but good things about this. And I love when books leave me reeling at the end! I really hope you get a chance to read Dangerous Girls! I was certainly not expecting to get as invested in it as I did, but I'm glad that I had the same stellar reading experience other people did.